K: Your work is entirely “free blown” Tell us a little about what that means. JC: Free blown glass is a term used that essentially does not employ the use of a blow mold. A blow mold is an object that produces the exact same result each time. With mold blown glass, the glass is gathered and placed into a two-part turn mold, and spun and blown at the same time. Our free blown technique relies on the glass being entirely blown and finished at the bench using the human eye and calipers for measuring in space (at the bench where we blow the glass). 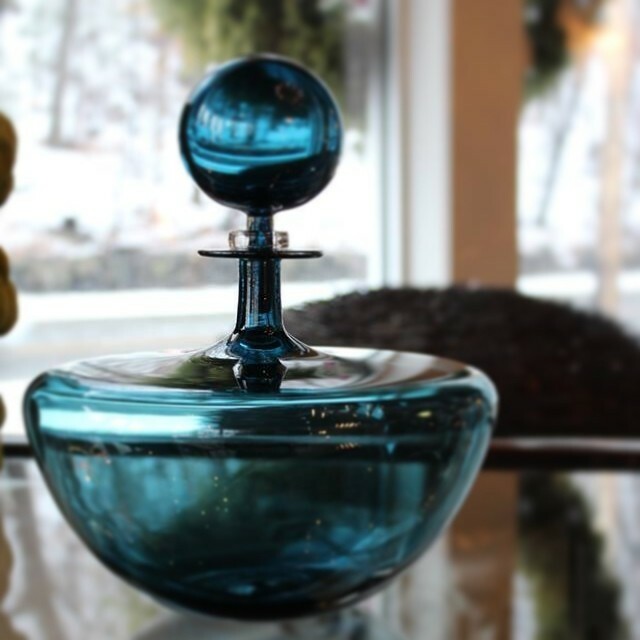 Free blown glass means that the product is slightly different each time, the human hand is reflected throughout. It has a “softer” quality overall and is truly handmade. K: Can you walk us through this incredible glassblowing process? JC: We use a small team of only 3 people and we can produce up to 4,000 objects per year! With a viscosity similar to honey, a small amount of clear, molten glass is “gathered” on the end of the blow pipe. 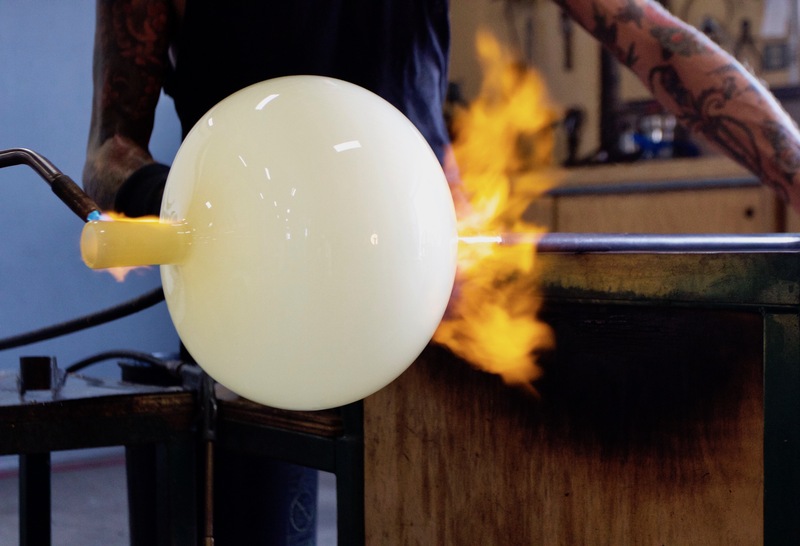 Air is then blown into the pipe creating a bubble and pre-heated color is dropped over the bubble and rolled back. More clear glass is added until enough glass has been gathered to create the piece. The “start” is formed into the vessel at the glassblower’s bench. The bench is where the majority of the shaping and blowing occurs and the vessel is formed. 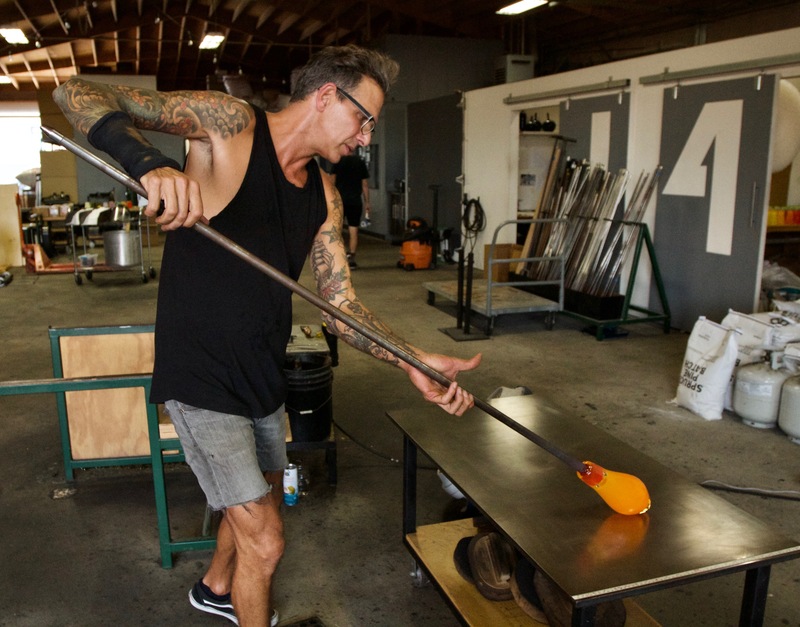 The glass cools quickly during the blowing process, so in order to maintain a working temperature, it is reheated in a second furnace called the “glory hole.” Thus begins the dance between the bench and the glory hole. 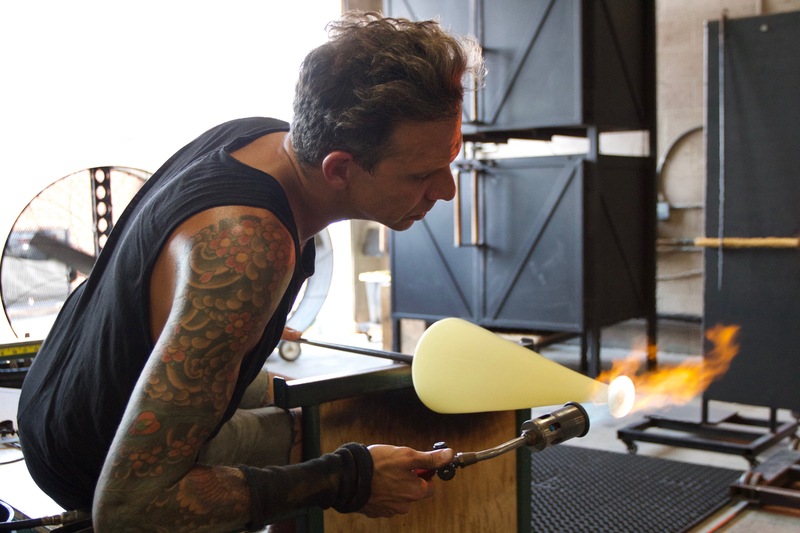 We reheat the glass in the glory hole when the object needs more heat in order to shape the glass. We then move to the bench where the blowing and forming takes place. K: What makes this process unique? JC: What makes our process unique is the fact that the work is “puntied” or transferred from the blow pipe onto a solid rod called a punty. Once the shaping of the neck, body and foot is complete, a solid bit of glass on the end of a punty rod is attached to the center of the bottom of the vessel. The work is then broken off of the blow pipe and transferred onto the punty rod. The neck and lip of the vessel are then reheated, extruded and shaped. Our elegant necks on the Angelic Bottles, and signature “T-top” lips of the Decanters can only be made using this transfer process. It cannot be imitated or replicated by molds or machines. Once the glass is complete, it is broken off of the punty, and “put away” into an annealing oven at a temperature of 900°. When the days work is complete it is slowly cooled in the oven overnight to prevent breakage and “strengthen” (or anneal) the glass so it will not crack from thermal stress. The next day, when the glass is cool, it is moved into the cold working studio. There, each work is run on a diamond lapidary machine in order to “seam” the bottom of each vessel so it sits completely flat. This hand ground process is evident in each work, another feature that is not common amongst mass produced ware. 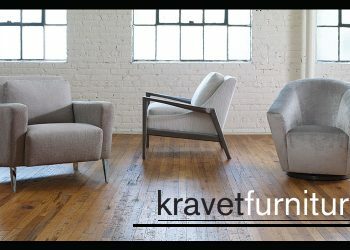 K: What’s it like seeing your creations available on CuratedKravet.com? 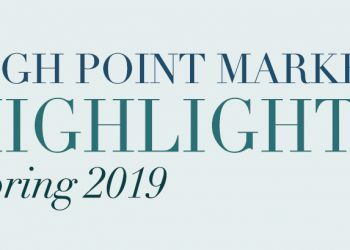 JC: My favorite part about seeing our work on Curated Kravet is that the colorways are fully exclusive and include forms that are not currently available through any other retailer. 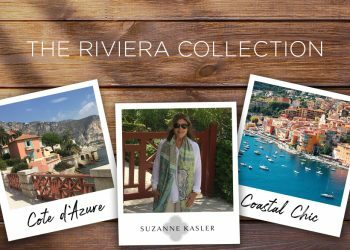 The Rose Bowl series and the newly released River Stones are fully exclusive to CuratedKravet.com, and the color ways are absolutely stunning! 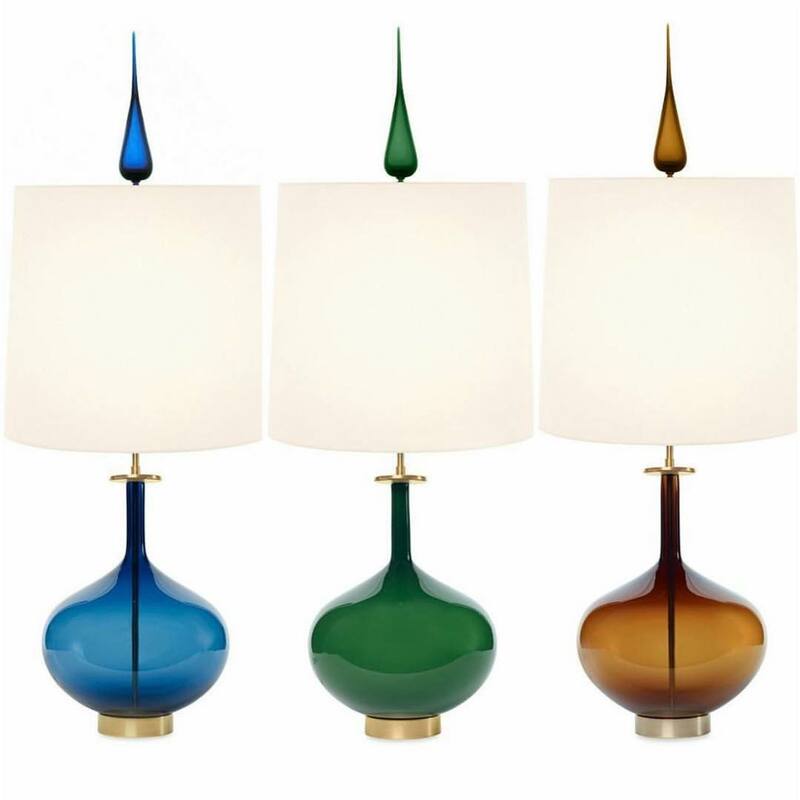 We are very proud to offer our Table Lamp series as well, which are entirely built by hand in our Los Angeles studio as well. K: What got you started in glassblowing? JC: I literally saw someone blowing glass at University in the Art Department and thought, “That’s glass? !” and I knew I had to try it. I had to wait one semester and then I barely got into the program as they only allowed 18 students into the hot glass class. It was life changing! 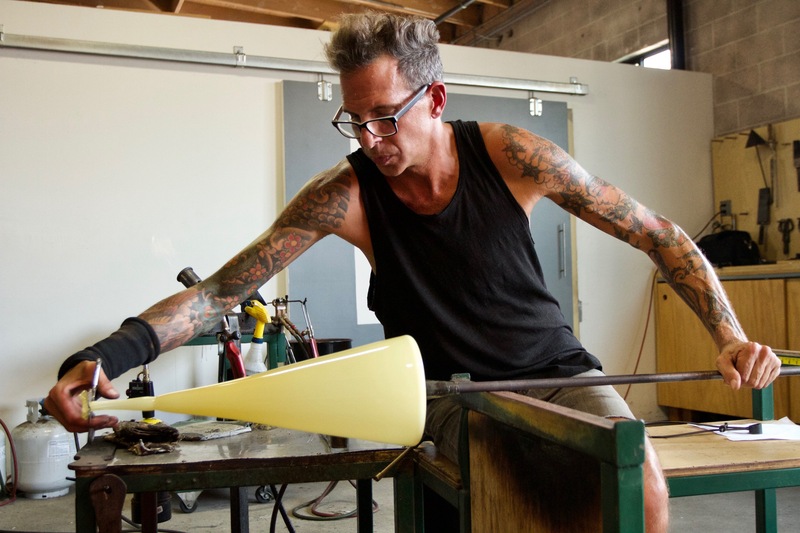 I picked up the craft quickly and moved onto a specialized school one year later called the Pilchuck Glass School. K: Can you explain the coloring process? How difficult is it to control shade and intensity? JC: In the USA, our smaller studios do not have color melting furnaces like they do in the large factories in Italy, China, Germany, etc. We have one furnace that is full of clear glass, we then order German or New Zealand colors by the kilo and roll the hot color over the clear glass. All color densities are different and it’s up to our skilled team to know the glass and apply the right amount. There is variation in density, but we don’t apologize for it. 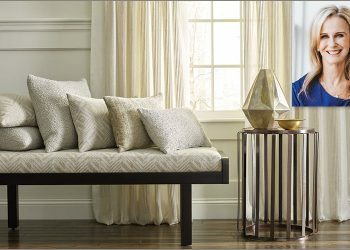 Curated Kravet has exclusive color ways that we developed by testing several colors in each hue. 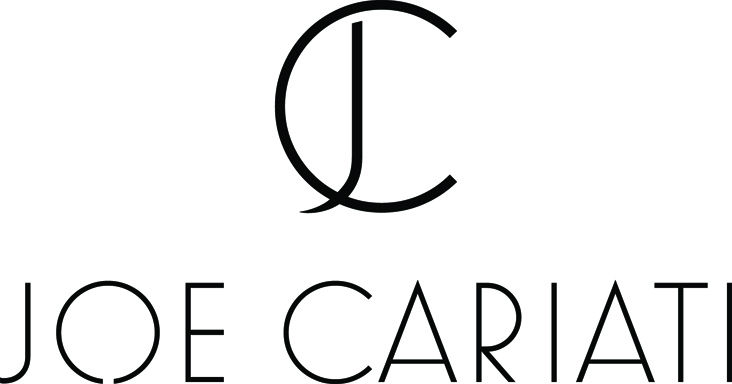 Shop Joe Cariati glass here. Listen to A Well Designed Business to find out more about Joe and his arty craft.